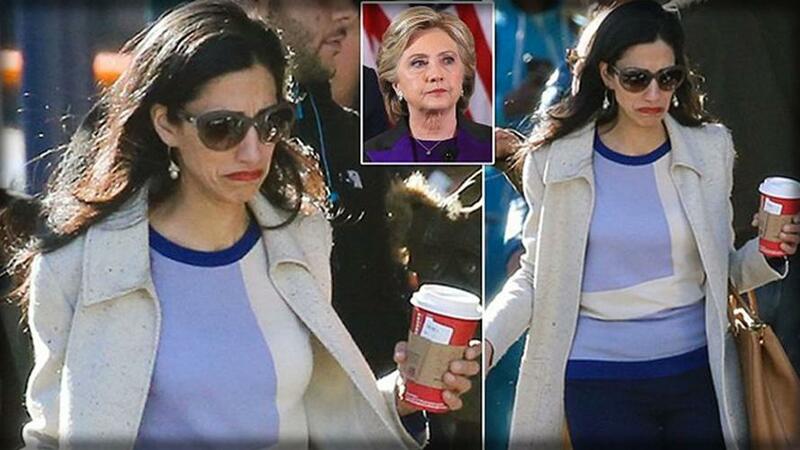 Hillary Clinton On Putin's "Three Dimensional Chess": "They Wanted To Get Me Out Of The Way"
Remember when Huma Abedin openly wept in the streets of New York the morning after Hillary Clinton lost to Donald Trump? We learned last night from Hillary Clinton's appearance on MSNBC's Rachel Maddow that it was actually Vladimir Putin personally responsible for that scene and those tears, not a national election. This is what two years of 24/7 media 'Russiagate' hysteria and the relentless pursuit of a "narrative" have brought us. And where better for Clinton to speak of the grand Russian conspiracy that shook the very foundations of the Republic than Queen Conspiracy Theorist Rachel I-see-a-Russia-Connection-Lurking-Behind-Every-Corner Maddow? Who would have thought there was really no need for a whole book penned by Hillary over why she lost called What Happened?... Well she did just write a new Afterward wherein she questions the "legitimacy of our elections". "I think I was an obstacle to [Russia's] plans to undermine and disrupt our democracy. I think I was an obstacle to impose greater authoritarian control in Russia... I think they wanted to get me out of the way," Clinton told Maddow in the Tuesday night interview. Clinton further said she believes she is a "small part of the puzzle," and that it's worth asking, "why did they want to get me out of the way?" She continued on Russia and the 2016 election. : "I do believe that we're finding it more about how they viewed me and what they wanted to do to get me out of the way, but to get me out of the way to do what, Rachel? Yes, try to elect the president which apparently they succeeded at, but it was more than that. I think they play a long game." ...So forget it Trump voters nationwide, this is the official Hillary and #Resistance narrative now here to stay: the Russians elected Trump. And there's more in store for what Putin has planned for America, they are playing "the long game" in Clinton's words. Clinton further explained to Maddow that she's unsure whether President Trump is a "witting" agent for Russia, but she does know it's clear "he is playing checkers and Putin is playing three-dimensional chess." "I don't know whether Trump is a witting or unwitting tool of Putin," Clinton said. "I don't know that. But it's clear he is playing checkers and Putin is playing three-dimensional chess. Putin has a very clear vision of what we wants to accomplish, and high on his bucket list is undermining democracies. And he uses money. He uses blackmail. He uses all kinds of inducements to political leaders and business leaders to try to bend them to his will, to make them part of the future that he's trying to create." Elsewhere in the interview Clinton said that "uncontrollable" Trump is preparing to "whole-sale fire people" after the midterm elections and as the White House has been beset by leakers. “What I worry about, Rachel, is that after this election this president is going to wholesale fire people,” Clinton said. “And if we don't have one or both houses of Congress in place, he will be even more uncontrollable and unaccountable. He will fire people in the White House. He will fire people in his administration who he thinks are crossing him, questioning him, undermining him." Maddow also asked Clinton to weigh in on whether Judge Brett Kavanaugh deserves due process after a woman accused him of sexual assault when the two were in high school. Awkwardly, Maddow framed the question in terms of past allegations facing former President Bill Clinton. Maddow questioned, "Your husband when he was president faced allegations that were not the same as this, certainly, but had connections to these kinds of old allegations from years ago. And I know you had concerns at the time. Your husband certainly had concerns at the time that he never really had due process to defend himself from allegations like this. Have we learned anything over the years about due process not just for the accusers but also for the accused?" "Yes, there should be due process for everyone involved. And I think that's what Dr. Ford is asking for. She is asking for due process. She's asking that there be an investigation. You know, at the end of the investigation, she might very well decide not to pursue her willingness to testify. She might say, well, you know, there's no way to ever prove it. Who knows what she might decide," she said. 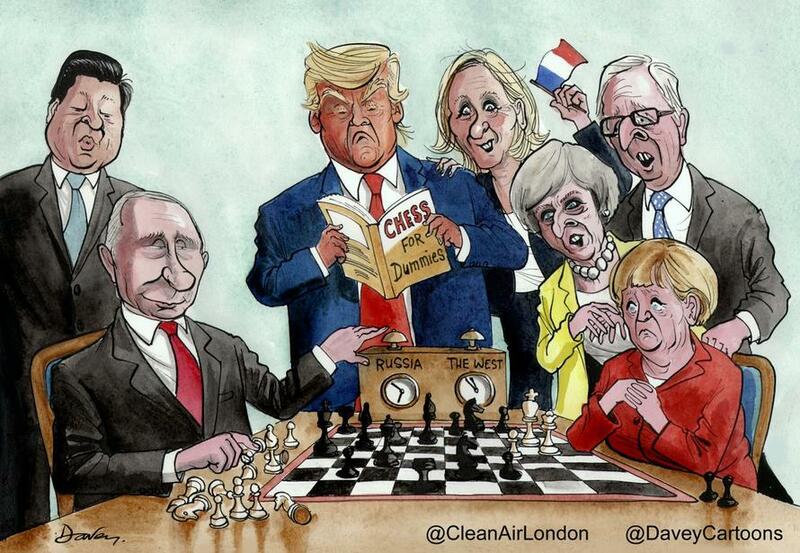 Meanwhile, we wonder what Putin has in store for the American people as the next move in his three-dimensional chess "long game"?